Netputing » Apple to announce the iPad 2 on Feb/March 9th? Apple to announce the iPad 2 on Feb/March 9th? This would be too easy. When the original iPad came out last year it had a 27 on the calendar app. Guess when it was presented to the world? January 27th. 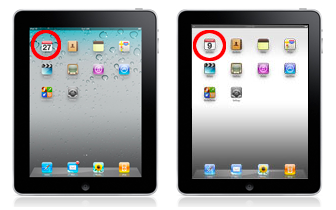 The new iPad has a 9 on the calendar app… so it is an easy guess that it might be unveiled on Feb or March 9 2011!